Professor Jayantakrishna Harikrishna Dave. M.A., LL.B. Advocate (S.c,), Mahamahopadhyaya, Vidyavachaspati, Gurjara Ratna is the Hon. Director of the Bharatiya Vidya Bhavan and the author of several learned works. He has been a member of the Senate of the Bombay University and the Varanasi Sanskrit University. A versatile writer, noted scholar and leading Advocate of the Bombay Bar, he had a brilliant academic career winning many a coveted prize. He has been awarded the Upadhi of Vidya-Vachaspati and thereafter of Mahamahopadhyaya by H.H. 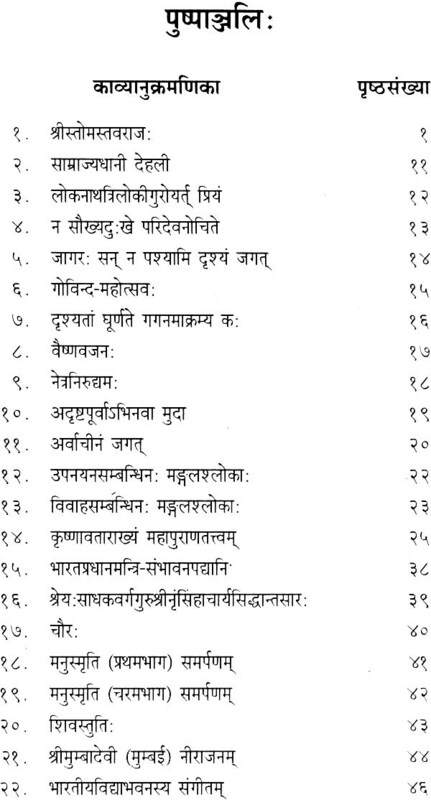 the Dwaraka Sharadapeeth Shankaracharya. He had his legal training under late Shri K.M. Munshi. He was for some time Chief Justice in the Banswara State of Rajasthan. His great erudition in Sanskrit and Dharmashastra has made him an authority on Hindu Law. He has worked as recognised Post-graduate Professor for M.A. 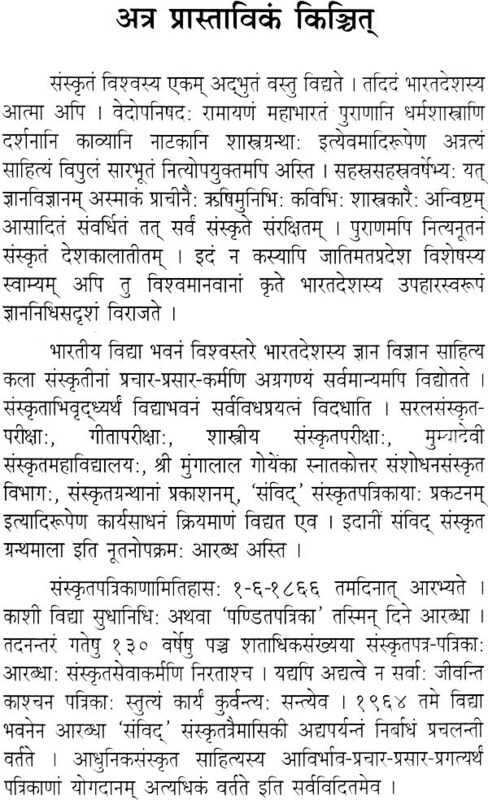 (Sanskrit) for 5 year, has been a part-time Professor of Law in the K.C. Law College, Bombay, and recognised Post-graduate Professor of LL. M. and a guide for Ph.D. in Law of the Bombay University. He is qui vive to the cause of Sanskrit. He was appointed as a member of the Sanskrit Commission by the Government of India in 1957 and was also a member of the Central Board of Sanskrit Studies constituted by the government of India as per the recommendations of the Sanskrit Commission. 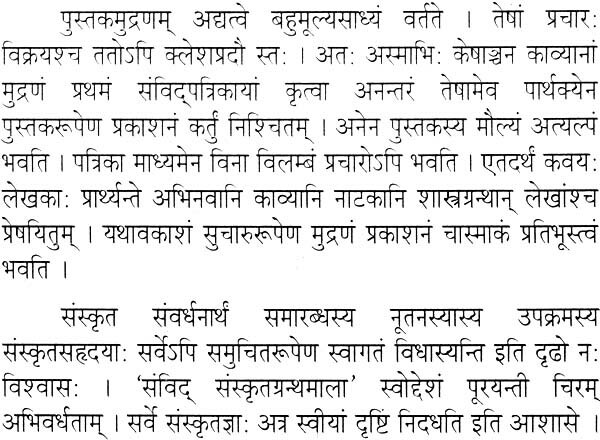 He has been in various committees of the Government of India connected with Sanskrit including the Kendriya Sanskrit Parishad, also in the Maharashtra Sthayee Sanskrit Samiti, etc. He is the Honorary General Secretary of the Sanskrit Vishva Parishad was the General Secretary of the Gujarati Sahitya Parishad for more than 12 years and is the Editor of Bhartiya Vidya (Research Quarterly), Bhavan’s Journal (English Fortnightly), and Samvid (Sanskrit Quarterly). He was also the editor of Bharati (Hindi Monthly). He was deputed as Bhavan’s delegate to the world conference on Religion and Peace held in Japan in October 1970 and is also a member of its follow-up council. Works: Immortal India, Vols. I to IV: History of Gujarati Literature in Hindi (published by the U.’P. 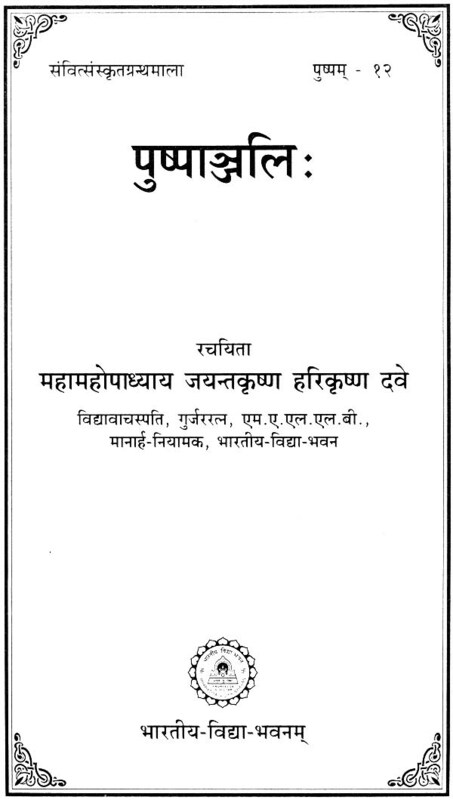 Government), Gujarati Sahityano Suvarna Mahotsava and Arvachina Saraswata Pravaha: Vyavahara Prakasha, (critically edited), Grihastha Prakasha (Eng. Trans. 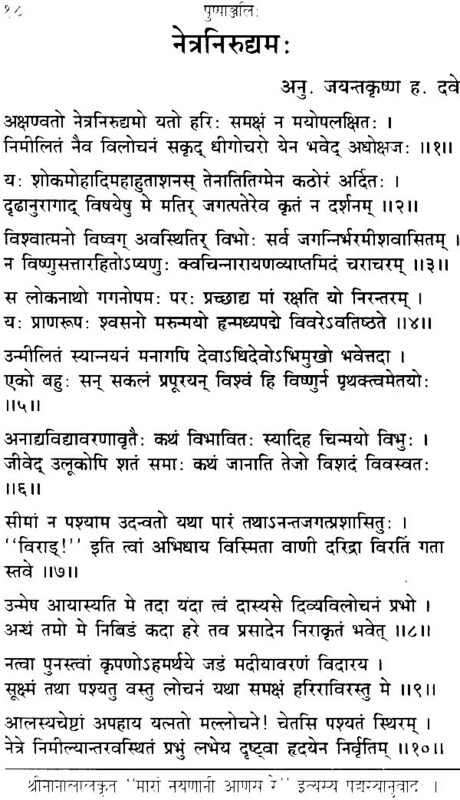 ); Amar Bharat (3 Vols. Guj. ); Siva-tattva and Sakti-tattva; Critical introduction to Shakta Sampradaya (Guj.). General Editor of the Upanishadic project and writer of Prasna, Mundaka, and Mandukya Upanisad with Gaudapadakrikas; Editor of six volumes in the Singhi series, Editor of Manusmriti in six volumes, writer of several Sanskrit poems, numerous essays and papers, etc.